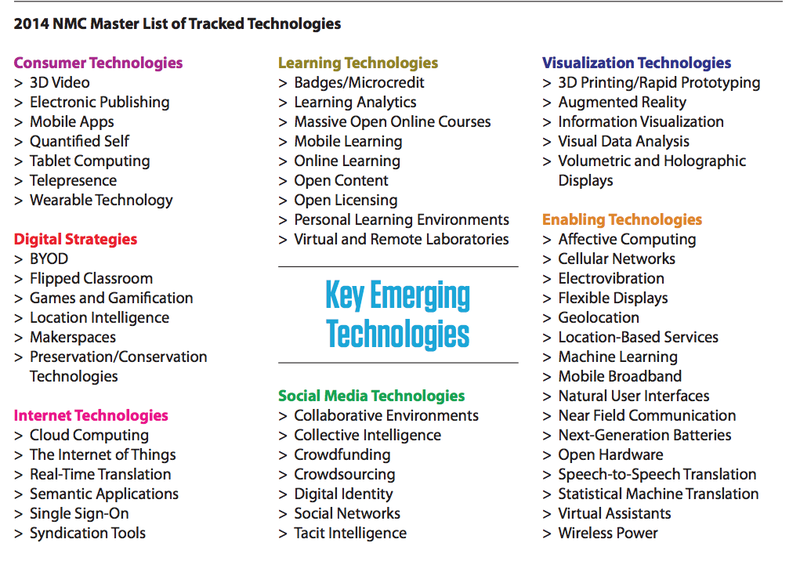 How ready are our faculty and students with emerging technology? Do I already know how to use this in the classroom? Do my students need this technology to better facilitate their learning? Is this technology necessary in my classroom? Should my students and I discuss this technology in my classroom? Can or should my students learn this technology without me? For question #6, if you believe it is “yes” or should be “yes,” ask yourself why. Has it always been that way? How did you arrive to that answer? How many others have reached the same conclusion as you? As a teacher, it is important to not let the technology distract you from your teaching, your pedagogy. Technology supports your pedagogy but should not drive it. One exception to this principle is when you are in the context of teaching technology. I’m thinking of our colleagues in Industrial Technology for this exception. If you’re a technocentric teacher and would like an opportunity to experiment and play with the technology in an educational context, you can start a faculty study group. KCELT has experience with many like-minded faculty who would love to dive deeper into the practical and philosophical issues of a particular tool. If you or a group of faculty would like to start a faculty study group or a workshop series focused on a specific technology, please contact us. We accept proposals that are aimed at developing faculty’s understanding and practice of technology that is integrated into teaching and learning.